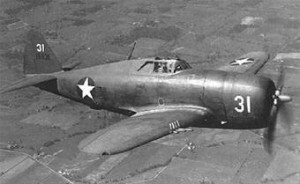 On the evening of August 17, 1943, 2nd Lt. William E. Neudorfer was killed when the P-47B, (Ser. No. 41-6019), that he was piloting, crashed and burned as he was attempting to land at Westover Field. Lt. Neuforder was assigned to the 320th Fighter Squadron. He’s buried in Golden Gate National Cemetery in San Bruno, California. To see a photo of his grave see www.findagrave.com, memorial #3614500. Larry Webster – Aviation Historian, Charlestown, R.I.